From our experience and learning off others, it's good to prepare the material you will take into the exam a few days in advance. As the exam time looms you want your full mental focus on the knowledge behind the exam rather than worrying about whether you have the right pen to do the writing! A bottle of water, 1 litre minimum. 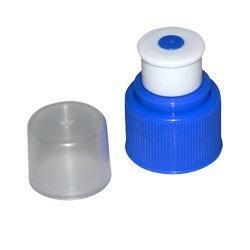 The kind with the sports cap (pictured) rather than screw cap is best. You don't want to accidentally pour half the bottle over your exam script! Some food to eat for lunch and snacks. We're not dieticians so we won't say anything specific, but there are resources all over the internet! Your exam folder with all your reference information in it. Selected stationery. See below for our recommendations. Here we have compiled some of the key writing or drawing instruments you need. Coloured pens for line drawings – these are perfect for producing clear sketches and drawings as we describe in writing and drawing technique page. Scale rule – an essential for the drawings you will need to produce in Section 2 of the exam. 0.3mm, 0.5mm and 0.7mm thickness mechanical pencils. Bring a spare pack for if things go wrong! Highlighters – for annotating the question and any key information for the examiners. A pair of compasses – useful for drawing circles if the question involves a circular building, or detailed sections with large arcs. Writing pens in black, blue and red – we recommend rollerball type for quick and easy writing, and the fine nibbed pens for when you need to write superscripts and subscripts. An eraser. We have tried many different types over the years but the Staedtler Mars plastic is by far our favourite.